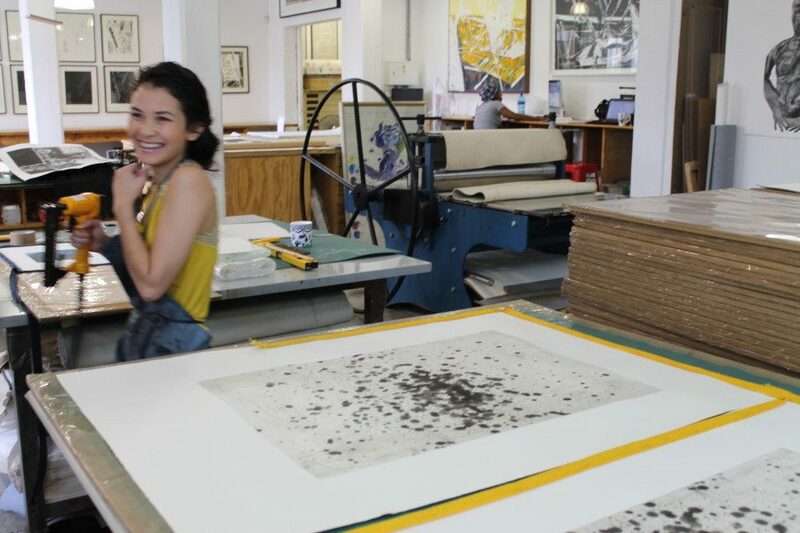 Six years ago, Kim-Lee Loggenberg graduated with a degree in Fine Art at Tshwane University of Technology (TUT) where she majored in Printmaking. For the past three years Loggenberg has worked as a printer at DKW. It is her first job working as a printer and she is loving the journey. What is it about printmaking that makes you tick? Loggenberg: When I started at DKW I re-learnt a lot because a professional print studio runs very differently to a varsity printing space. I focus intensely, which creates a flow of thought and space in my mind. I like working with my hands. You can think and be active at once – that balance of body and mind. 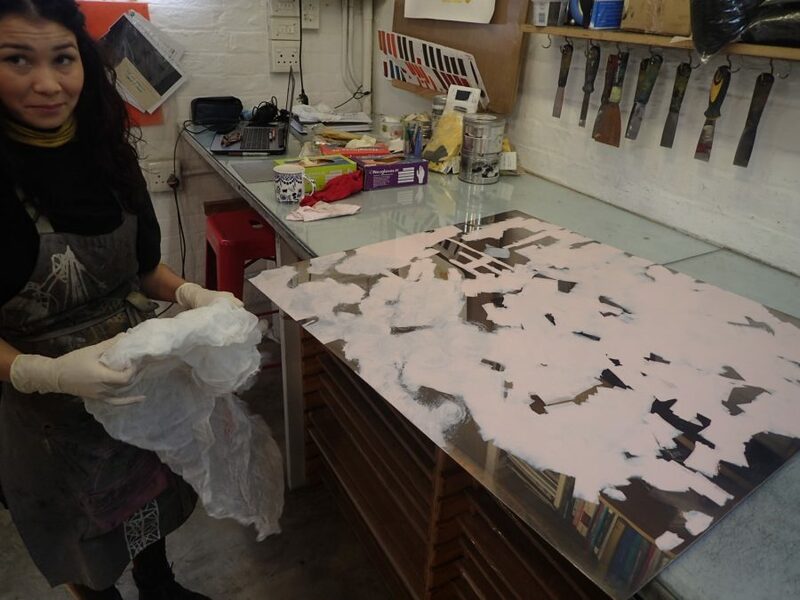 It takes a certain personality to be a printmaker – a balance between detachment and complete submersion in the work. 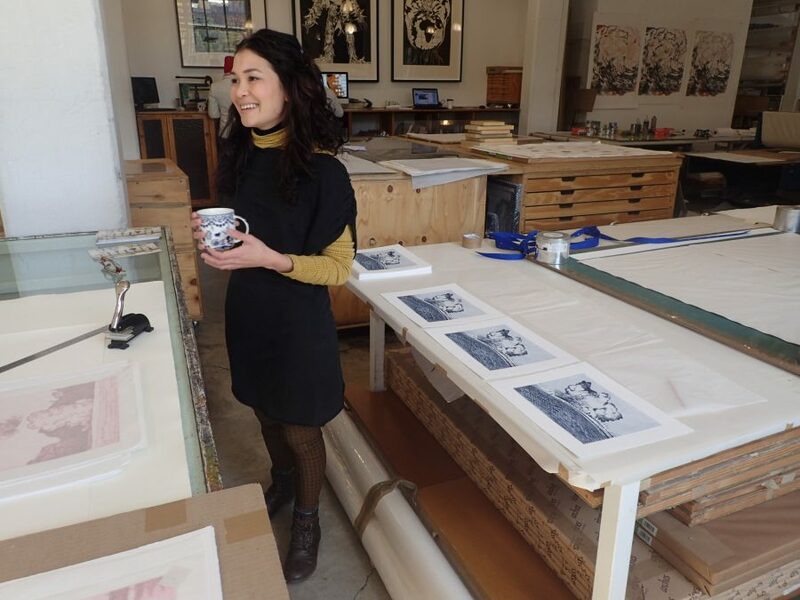 Loggenberg initially applied to work in the gallery but when David Krut Projects (DKP) founder, David Krut, saw her artistic background he suggested she work as a printer instead to which Loggenberg felt daunted but supported in the process: “I hadn’t printed in three years. Jill [Ross] and Neo [Mahlasela] trained and guided me on projects,” she says. 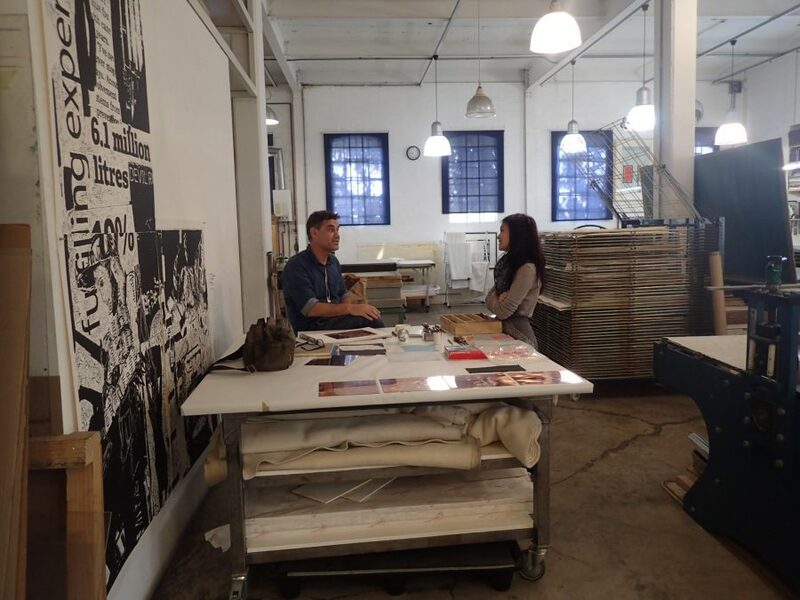 How do you perceive the role of the printmaker? 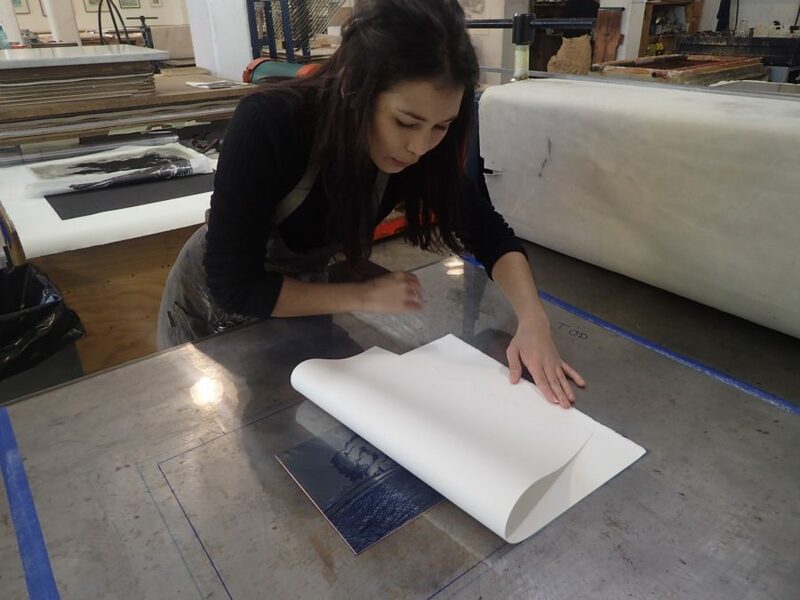 Loggenberg: It’s up to the printer how to interpret an artist’s line – etching a line according to how the artist envisions it is a skilled task. That is the art of the printmaker. Quality of line ranges hugely depending on the medium and the application of tools by the artist, but mostly this is the artistry of the printer: how to interpret the plate and its intricacies of line, from soft to heavy to deep. As a printer, you know the print will look better with depth in it. You make those calls as you’re wiping the plate, bringing your knowledge of art, like perspective and contrast, into these decisions. What is your favourite medium to print? 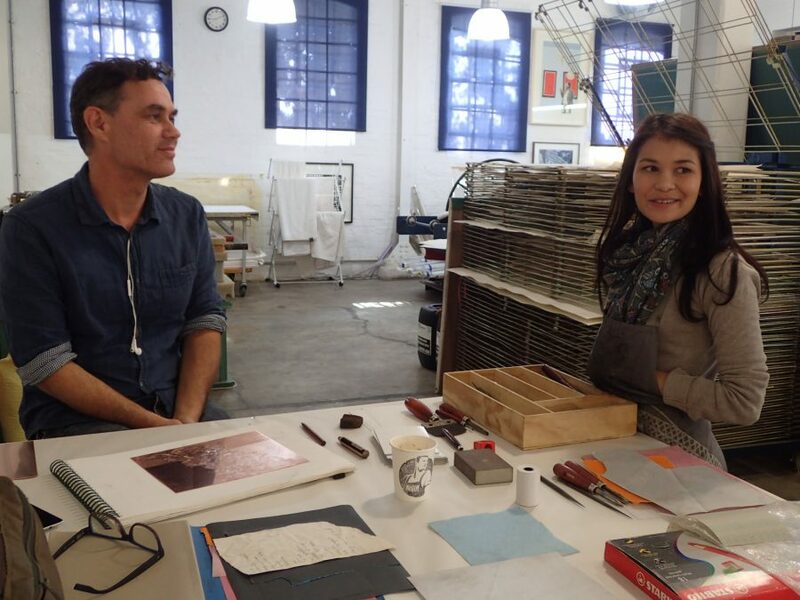 Loggenberg: I love printing etchings and drypoints – anything intaglio! My favourite part is when the plate is covered in ink and by wiping and papering/polishing it an image starts to emerge. It’s like you’re talking to the plate – to the lines – deciding which to make crisp or fuzzy. It’s so tangible. 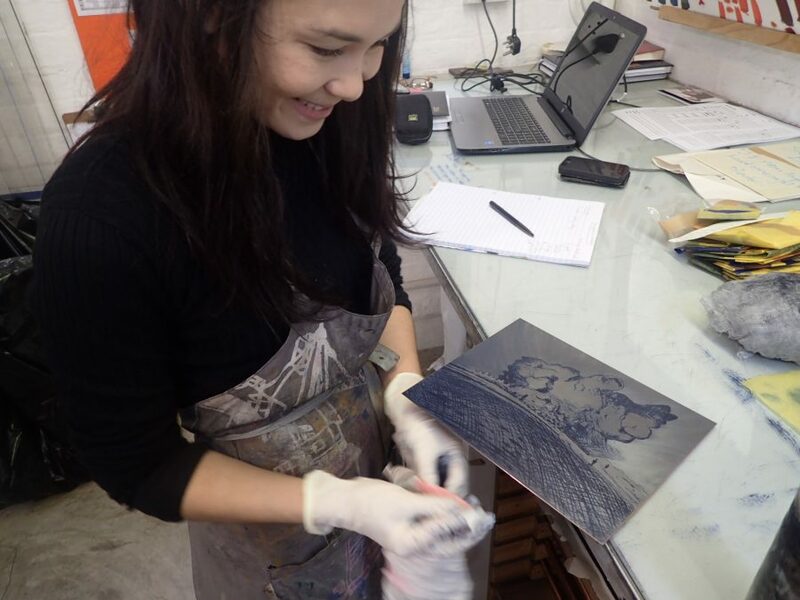 With intaglio everything is about touch – you’re connecting with the plate in a very sensual way – engaging all your senses, you can feel the depth of the line, the burrs. It must be similar to how blind people discover the world, through feeling. Next up in our Printer Feature blog series: Chad Cordeiro.